I am purchasing because the monotail is the cheapest. I would like to also handle PETG resin. This review is about item#17962744. Can I use the same filament for dedicated filament · "Da Vinci Jr" for "Da Vinci mini" in common? Is there also a "da Vinci mini dedicated filament"? I would appreciate your early reply. This review is about item#17962735. Before, I could output cleaner than the material I was using. I would appreciate it if you can handle other colors such as white and black. 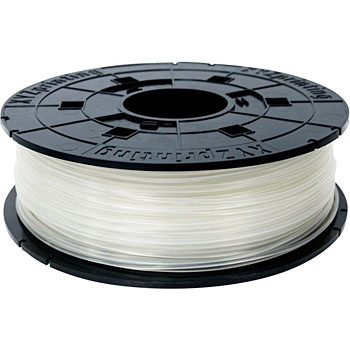 Due to a print error, etc., the filament is thought to be sent by the machine side that the filament was sent properly when it was being processed without actually being sent, only the time elapses and the filament remains. I want to use the remaining filaments, but it is managed by ic chip and it can not print. Does not it manage?